It is unnecessary and probably basely redundant to say that Stephen Sondheim is a living legend. But screw that: Stephen Sondheim is a living legend. 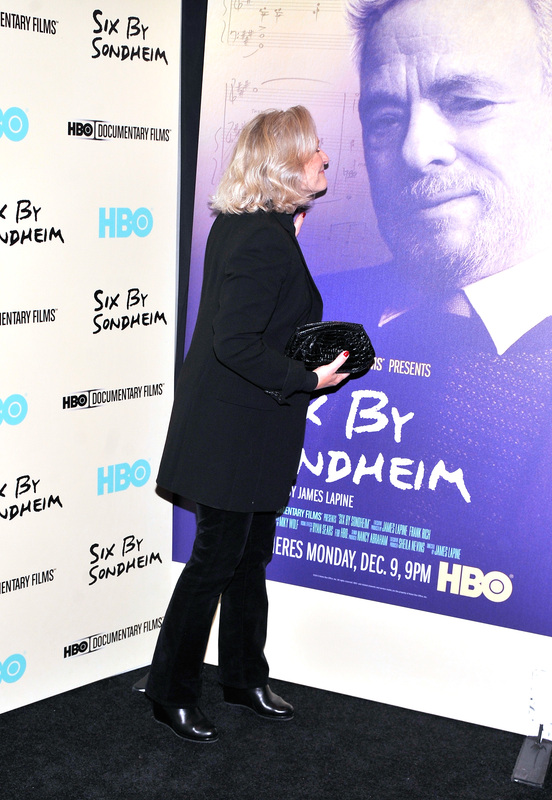 The new HBO documentary Six By Sondheim was a smash hit critically with its premiere Monday night and as a result, today we are having a lot of Sondheim-related feelings. For the true Sondheim fan, too much is not enough. Go ahead, televise a star-studded birthday party every year from the 92nd Street Y. Air twenty-five separate revivals of “Company” on PBS. Do Sondheim as opera, do Sondheim as cabaret, produce a misbegotten film adaptation of “Sweeney Todd”—we don’t mind, we’ll still go see it. As most things that remind us of our raging musical theater geek side, this documentary sent us down one of those dangerous YouTube spirals, one of those black holes of the Internet — but an entirely enjoyable one, as it took us through some of the most powerful performances of Sondheim's so thoroughly storied work. It's one of the best physical interpretations of Sondheim's lyrics that we can remember. Dat dancing. Debbie Allen, man. Debbie Allen. We will marry you a little, Raul Esparza! We will marry you a lot! Trust me, this was a game-changing performance for many a millennial musical theater lover. "She's fucked, I'm ready, the goddamned show must go on"? Iconic. Colbert's not the strongest of singers to take on this song, but his intonation and his charm here sell the emotion and the story behind the song, and in the end that's what matters. Now if we're going powerhouse singing, you gotta go "Rose's Turn." We couldn't handle the Sophie's choice of choosing between Bette Midler, Patti Lupone, and Bernadette Peters, so we put them all together. Elaine Stritch's Rendition Of "I'm Still Here"
Stritch said she didn't want to sing this song until she was old enough to mean it. She cheated a little, but damn did she pull it off. Um, Homeland should give Mandy Patinkin a musical number. We're just saying. It might fix some things. Yes, more Company. Why isn't Angel Desai in more things? The perfect closing number? The perfect closing number.